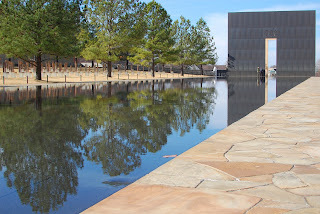 The Oklahoma City National Memorial is a serene spot just north of the downtown business core. It reminds visitors of the 1995 bombing of the federal building that once stood there. The bombing was the only US domestic terrorist attack ever to kill >100 people.